Aligned Data Centers, a division of Aligned Energy, announced today a number of key new hires to support the company’s continued growth in North America. John Greenwood joins Aligned Data Centers as Senior Vice President of Sales where he will utilize his nearly 15 years of data center colocation, cloud, and managed IT services industry experience to identify opportunities for cost savings and optimization for Aligned customers. He has built a strong reputation for successfully leading both early and mid-stage companies in exceeding revenue targets and creating long-term value for large service providers such as AT&T, CyrusOne and ViaWest. John previously served as Executive Vice President of Sales and Marketing for VAZATA, a cloud hosting and data center colocation company. Ted Martin joins Aligned Data Centers as Director of Facilities in Plano, Texas where he will be responsible for maximizing capacity, maintaining resiliency, and optimizing efficiency for the company’s clients. With more than 20 years of senior level management experience in data center operations, he will also provide ongoing value engineering, helping customers turn their corporate data center initiatives into financial and resource savings. Prior to joining Aligned Data Centers, Ted directed operations and maintenance for companies including Digital Realty Trust, RagingWire, and QTS. Brandon Keese joins Aligned Data Centers as Director of Facilities in Phoenix, Arizona. In this role, Brandon focuses on innovative approaches to improve the customer experience and lower costs for his clients. Prior to joining the team, Brandon was Director of Engineering at CBRE, where he led the design, development and operations for both mission critical and non-critical sites. He has worked with enterprise clients such as Electronic Data Systems (EDS), Hewlett Packard, and Wells Fargo to implement efficient and reliable data center solutions. Jack Edwards joins Aligned Data Centers as Director of Services and Compliance where he is responsible for implementing best practices in client experience and data center services. An all-around data center expert, Jack has built over 42 data centers and managed over eight million square feet of data center space. With over 15 years of IT operations and facilities management experience, Jack specializes in data center design and operations and has worked with many of Silicon Valley’s top technology companies, including HP, Microsoft, Google, and Yahoo, as well as the Pentagon and U.S. Navy. Suzanne Williams joins Aligned Data Centers as Vice President of Business Development – Plano, where she will focus on delivering client-driven data center solutions. Suzanne brings with her more than 28 years of experience in the IT industry providing leading edge technology solutions to Fortune 1000 organizations. Prior to joining Aligned Data Centers, she was a Sales Manager at Digital Realty Trust where she provided colocation and data center solutions. Tim Chandler joins Aligned Data Centers as Vice President, Sales Engineering. Tim is a proven technical business leader with over 20 years of experience building, operating, and selling complex IaaS, PaaS, and managed services delivered via orchestrated public and private delivery architectures. Tim brings a full-stack approach to infrastructure solution architecture as VP Sales Engineering for Aligned Data Centers. Prior to joining the Aligned Data Centers team, Tim was Director of Client Architecture at Viawest, leading the sales engineering practice in support of North American colocation and managed services sales teams. Clay Ashworth joins Aligned Data Centers as Sales Engineering and Operations Director. In this role Clay will be responsible for supporting sales from both a technical and operational standpoint. Additionally, Clay will be tasked with managing carrier relationships and assisting in the development of Aligned Data Centers’ network and interconnect strategy. Prior to Aligned Data Centers, Clay worked in a variety of roles ranging from network engineering, network operations, sales engineering and sales operations for companies such as Qwest Communications, 360networks, and AboveNet. Clay most recently worked for Layer42 where he was responsible for Sales Operations, Engineering, Business Operations and Carrier relations. Jeff Johnson joins Aligned Data Centers as Vice President, Channel Sales where he will focus on building a best-in-class channel program spanning Real Estate, Technology Procurement and Platform Partners. Jeff brings with him more than 15 years of business and channel development in the technology industry from positions at Sprint, MASERGY Communications and most recently ViaWest. 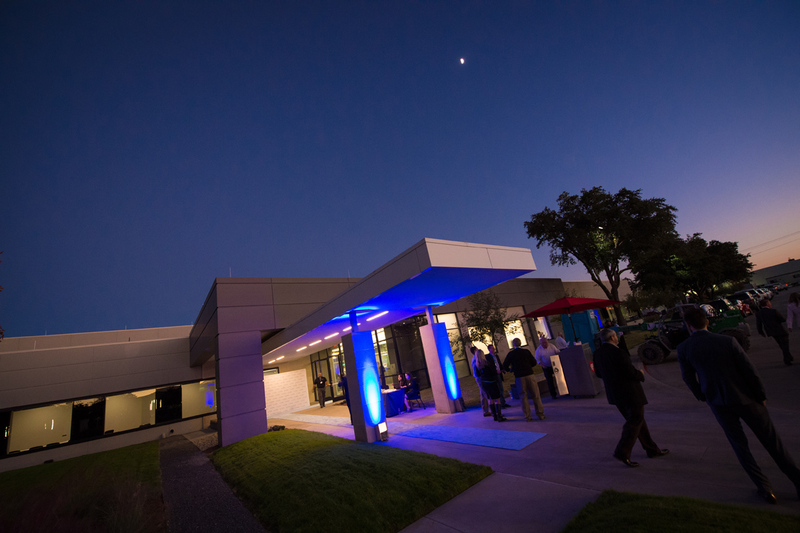 In November, Aligned Data Centers celebrated the opening of its Plano data center and is currently well-underway to bringing a massive 69MW data center online in Phoenix, Arizona. The company has begun site select in four other top-tier data center markets including California, Illinois, Virginia, and New Jersey. Aligned Data Centers, a division of Aligned Energy, is the first pay-for-use data center provider to offer consumption-based pricing to enterprises, service providers, and governments who require greater control of data center cost and faster time-to-market. Aligned Data Centers’ evolved approach eliminates the need to forecast future IT demand and provides control over capacity, so its clients waste less and can better align the data center to the needs of their business. Solomon, McCown & Co., Inc.